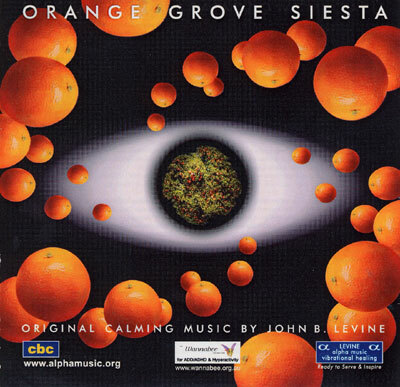 These six compositions are in the relaxing piano music convention of composer John B. Levine. John Levine is both composer and pianist for this recording. His accompanying musicians improvise throughout the piece and their sound experiments create variance in timbre, without disturbing the overall artistic music expression. The compositions are enriched by a variety of balanced and well-matched instruments. The mesmerising tones of the Australian digeridoo weave through the music, adding an entrancing quality and special depth. John Levine is a classically trained composer and pianist and this work is based on his knowledge of the centuries-old pentatonic and lydian scales. Musical tension builds slowly and nobly with no rush or rough discords. The "spherical" sounds bring you to alpha state within 4 minutes. To understand the importance of alpha, read About Brain Waves. Of this particular piece John B. Levine says: "Let's relax in alpha state and get carried away by our imaginations."